Trip from Hoover Dam to a city of pure visual pleasure. 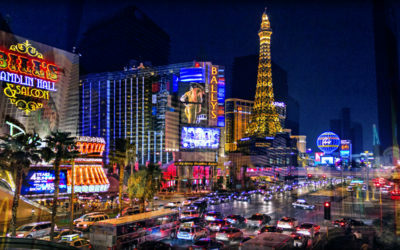 Seeing the light and dark side of it – Las Vegas, in Nevada’s Mojave Desert, is a resort city famed for its vibrant nightlife, centered around 24-hour casinos and other entertainment options. Jamie Bianchini is coming from USA, and he travels by tandem-bike around the world for 6 years. Greater part of the way he drives a tandem bike and in each country he invite a co-driver or have to find him on the road. I was a part of Slovenian story in which Peace Pedalling became part of mine. The roads on which we were pedalling together, was a time of sobering transformation for me! 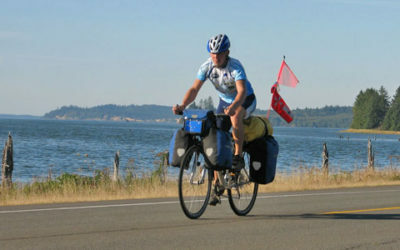 The hero was returning home after bicycle touring the world for more than five years! During this period, Dejan Glavnik has crossed 90 countries on all five continents. We have been following this brave man everyday, since the very beginning of his bicycle journey.